These days, the website development filed is a buzz with a number of new technologies. Gone are the days when website development was a tedious, cumbersome and time consuming process. With the help of technologies like Joomla, website development has become quite simple. Joomla is an open source technology that helps in building a professional, dynamic and user friendly website. PSD to Joomla conversion involves many steps. Read further and you will find out what you should know about PSD to Joomla template conversion before you start with it. PSD to Joomla involves a number of steps. First of all, the PSD based design files are converted into a suitable markup. After converting PSD to HTML, next step is to incorporate it with Joomla. These steps include a number of sub steps which should be done carefully to get a perfect Joomla based website. The PSD design is first sliced into multiple layers and then several components like buttons, links etc are added. After slicing the design, the coding is done. While doing all these, you need to ensure that you give unique names to the individual layers of the PSD file in order to allow Joomla to convert it correctly. After giving the unique names to the individual layers you can then log onto one of many conversion sites and upload your image. Once the conversion is over you need to download and open the zip file and copy the newly created folder into the Joomla website folder of the WAMP server. Make sure that you go to template manager in the admin panel of your site to view the newly created template in your template list box. Set this template as your default. With this you can successfully complete PSD to Joomla conversion. PSD to Joomla template conversion offers a number of features and advantages. A good PSD to CSS/Joomla provider ensures that the website is W3C validated. A Joomla based website is also well structured and well formatted. Such a website makes it much easier to detect any markup errors. Before going for PSD to Joomla template conversion, it is important to ensure that all these features are incorporated in the website. Another important thing to ensure is that the newly designed Joomla website should be compatible with several browsers. That is, it should be cross browser compatible. It should be remembered that there are plenty of browser available like IE, Firefox, Safari, Chrome etc. This ensures that the site is accessible to all the users who access it using different browsers. A website that is not cross browser compatible will lose out on a majority of users as people use different browsers in different parts of the world. Semantic coding is also very important. While converting PSD to XHTML/Joomla, it should be ensured that the website is semantically coded. Semantic coding plays a very important role in the performance and functionality of a website. 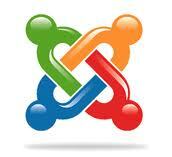 While going for PSD to Joomla conversion, it should be ensured that it has the semantic coding. Semantic coding ensures a neat and clean code structure. It also makes sure that all components are at their right place. Converting PSD to Joomla template is a time consuming and tedious process. It requires proper skills and knowledge of various technologies. Therefore, it should be ensured that you hire only a professional conversion service provider in order to Convert PSD to Joomla. It will not only guarantee quality results but will also ensure that your Joomla based website has all the required features in it. You can rest assured that you will get a well structured, dynamic, and professional and user friendly website.